Our Worlds Listings - save1person.net - Save 1 Person's mission is to save or dramatically improve a person's life who's in need of a medical miracle through the power of the media. Save 1 Person's news breaks appear weekly on TV, Radio, Internet, and many national publications. Help One of The Family's of the Terrorist Attack! This is a Save 1 Alert. Helping the family of one of the victims of the Paris terror attack! Philipe Braham is one of the 4 victims of the "Hyper Casher" killing on January 9th. Philipe was in his early 40's and leaves behind a spouse, Valerie, and three children. aged 8, 2 and a toddler. Valerie was bringing the children up and was not working Let's show this family our solidarity and help the family at this time of despair. https://www.leetchi.com/c/solidarite-philippe-braham. Save 1 Family. Save The World. Save a Daddy with AML! Save 1 Person. Save The World. 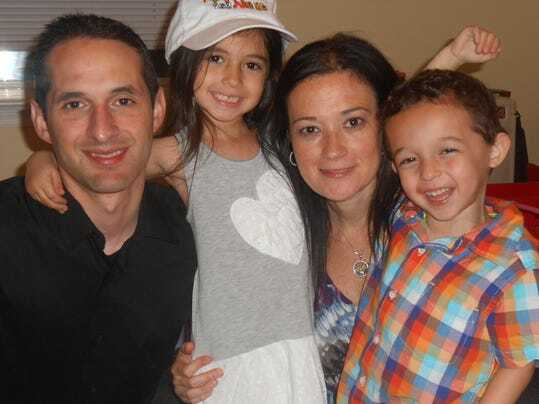 Darren Lederman, 40, from Westfield, New Jersey in January was diagnosed with a rare bone marrow cancer, AML. Darren's immediate family are deceased. His immediate family would be Darren's best shot of finding a life saving bone marrow match. Now Darren's wife and children are seeking to do an all out search to find that miracle match. Will you see if you can save Darren and get swabbed? Click here and get your kit today: www.bethematch.org. And if you'd like to show your financial support to Darren's family in these rough times, find out more here: http://www.youcaring.com/medical-fundraiser/help-the-lederman-family-fight-leukemia-/296296 Save 1 Person. Save The World. DEMETRA BELL JONES NEEDS A LIVER TRANSPLANT! This is a Save 1 Person News Alert. Save 1 Person. Save The World. Daughter of Fallen Tampa Police Officer in Dire Need of Liver Transplant. Demetra Bell Jones, has an autoimmune disorder which caused her to develop hepatitis. Demetra was told drugs are no longer effective and she will need to be placed on the transplant list. be included on the list until the monies are raised. Will you help? Go to gofundme.com under the name of Demetra Bell Jones to make a difference. This purpose of this Save 1 Alert is to save Demetra Bell Jones. Donate now to save lives through the media. Change the amount here before clicking the donate button. We are sending our message to millions across the globe through TV, radio, print and internet ads. Join us as a partner by supporting our life saving cause.